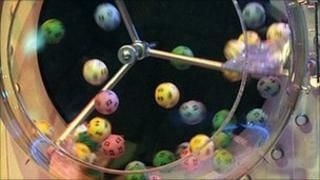 A winning double rollover Lotto ticket worth £5.6m that was bought in the Port Talbot area remains unclaimed. The ticket holder matched all six numbers in the draw on Wednesday 1 December. A National Lottery spokesman said they were "desperate" to find the winner and urged people to check their tickets. They have until 1730 BST on 30 May to claim their prize otherwise it will be given, along with the interest it has accrued, to the good causes fund. The winning numbers in the draw were 20, 21, 22, 24, 27 and 34. The spokesman added: "This amazing prize could really make a huge difference to somebody's life and would be a wonderful Christmas surprise. "We're urging everyone to check their old tickets again or look anywhere a missing ticket could be hiding. "Try checking in the pockets of clothing, in wallets, bags and down the back of the sofa - someone out there could literally be sitting on a fortune. "We have the champagne on ice and our fingers crossed that the lucky winner comes forward to claim their win in time for Christmas."